LI Systems (SLI.NZ), a leader in online retail product discovery solutions, today published a new report on the state of e-commerce. Based on recent survey results from hundreds of mid-sized retailers, the H1 2018 E-commerce Performance Indicators and Confidence (EPIC) Report highlights top focus areas for the year, including: how retailers feel about heated competition from Amazon, the investments they are making in new technology, how mobile initiatives have changed from last year, and retailers’ approaches to personalization. The full report is available for download at https://www.sli-systems.com/ecommerce-research. 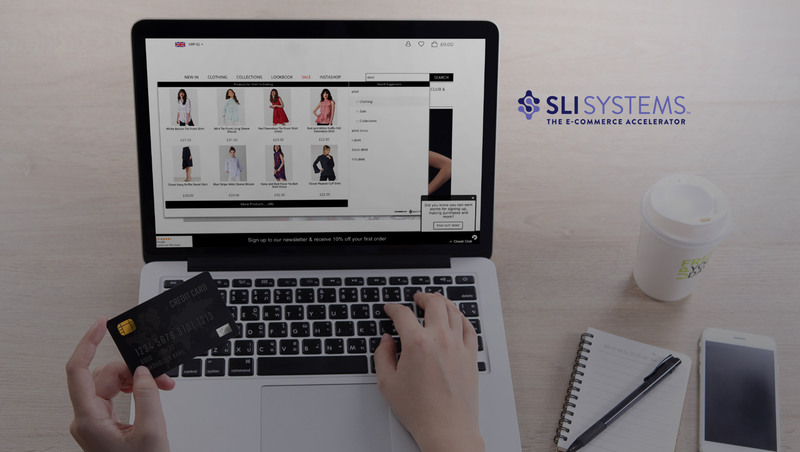 SLI Systems’ H1 2018 EPIC Report found offers triggered by online behavior, emails triggered by online behavior and category page results based on online behavior lead e-commerce companies’ plans for personalization efforts. 91% expected e-commerce revenue gains in H1 2018. Of U.S.-based respondents, 59% predict modest e-commerce revenue growth of 1-10% and 12% estimate growth over 21%. Globally, one-third (33%) of retailers say their companies already provide customers a personalized online experience, and almost half (49%) plan to add it in the next year. Offers Triggered by Online Behavior is the top way retailers plan to personalize for consumers (42%). Emails Triggered by Online Behavior and Category Page Results Based on Online Behavior tie for second (both 38%), followed by Recommendations Based on Online Behavior (36%). Retailers in Housewares/Home Furnishings are the most aggressive with their personalization plans; only 18% report currently using personalization, but 71% expect to leverage it within the next year. 91% of those surveyed maintained (50%) their 2017 mobile financial commitment or increased (41%) their monetary investment for 2018. 80% anticipate revenue from Mobile Sites and Apps to increase; 95% of those in the Food and Beverage industry, 94% in Housewares/Home Furnishings and 93% in Apparel expect an increase. When asked about their most important initiative, 25% of respondents claimed Customer Experience, 16% Advertising or Paid Search, and 15% Replatforming. This reflects a change from the Q3 2017 report where the top three initiatives were: Replatforming (17%), Customer Experience (16%), and Inventory, Logistics and Fulfillment (15%). H1 2018 EPIC Report results are from an electronic survey compiled in April 2018. SLI received qualified responses from 276 retail industry professionals worldwide headquartered primarily in the U.S., Europe, Australia and New Zealand. All respondents sell goods or services online, with 65% selling in stores and 44% selling on Amazon. 87% hold a manager position or above. Just under half reported their company’s total annual sales to be above $50 million (U.S.), with 19% generating above $500 million.